I wasn't going to blog today, or even tomorrow, but I had a bit of happifying news to end the year with today, and it relates to you. I had my first royalty statement for Write to be Published and I was very pleasantly surprised at the figures. So, I'd like to thank you all for your support! It doesn't matter whether you bought the book: so many of you recommended it or chatted about it on Twitter, or mentioned it to a friend - all these things have helped and I'm enormously grateful. 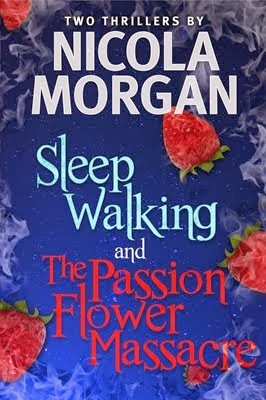 The book has continued to have fab reviews on Amazon - and thanks to anyone who has gone to the trouble of doing that. It seems (to me!) like much longer than six months since it was published and I'm proud of how well it's done in a short time. My thanks to Emma Barnes, MD of Snowbooks, and to Corinne Gotch, the ace publicist for the book and a good friend, and to Becky Hearne, my fab assistant and also a good friend. I think we make a great team! 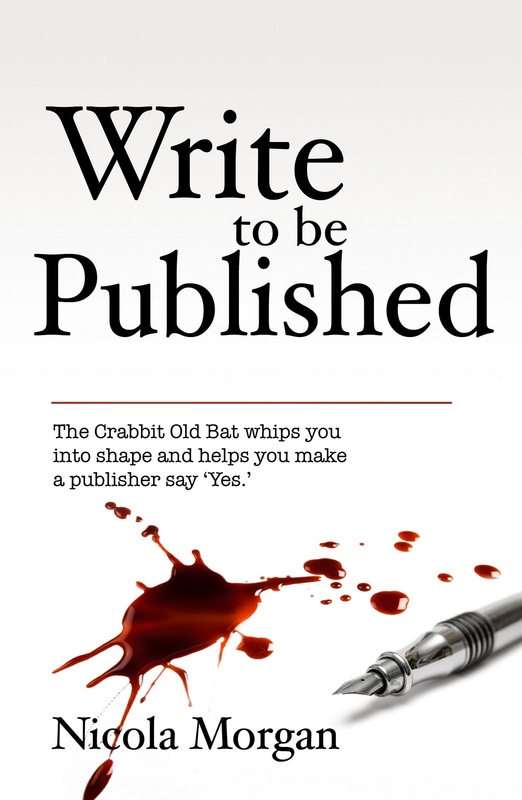 Crabbit Publishing has been the most exciting** part of 2011, workwise, and I'm very pleased with how Tweet Right and Mondays are Red have done, and am looking forward eagerly to publishing Write a Great Synopsis in three weeks. Hooray! But self-publishing is not all I want to do and I'm hoping to work productively with publishers, too, if they'll have me. I wish you all the best possible success and luck in 2012. Keep working, keep learning, keep listening and sharing. And thank you all hugely for your friendship, wisdom and fun this year. All the very best for 2012 Nicola! I bought Tweet Right and Write to be Published and both were very useful. I also came to see you speak at 3 events and each one was very valuable and entertaining too. For an aspiring writer like me, all your hard work really helps- thanks! Huge congratulations, Nicola and thank you so much for all your advice and hard work over the past twelve months. You are very much loved and appreciated by all! Sounds as if 2011 was a great year for you. I am sure 2012 will be just as successful. Thanks for all the tweets and blog posts. Always valued advice. Happy New Year! They say delayed rewards are the best - glad yours are arriving. I have WTBP and Tweet Right, and recommended Mondays are Red to 13yo granddaughter who downloaded it onto her brand new Kindle. Great works. Happy & successful 2012 to you and yours. Purr-fect! Well done you! Thankyou for putting up with my disorganised and sometimes controversial cat hairs on your pages this year. Hope you have a wonderful writing 2012 and a happy one too. Congratulations on all of 2011's achievements, Nicola. Your posts are always useful and valuable, and I look forward to 2012's. Have a great New Year and a successful 2012. Well done Nicola and congrats on all your wonderful achievements this year. There's also one of your writing achievements that you forgot to mention and which is a wonderful benefit to your fellow writers - this blog. Thanks for all the time and energy you put into it and your generosity in sharing your knowledge and experiences. All the best for the New Year! I bought two copies of Write To Be Published and gave one to my writers' group because it's choc-full of essential information. It's been an exceptionally tough year in the book trade, that's for sure. Here's to a fab 2012. I wish you'd change your name hook, Nicola. "Crabbit old bat" doesn't do you any justice for your brilliant advice, support, and encouragement. Happy New Year! Hope 2012 is as good for you as 2011 was. Right To Be Published is so good my mother pinched my copy and I had to buy a second copy. Happy New Year to you, Nicola and all your followers! ...."and all your other followers" I meant... ah, you know that! Happy New Year, Great Crabbit One. 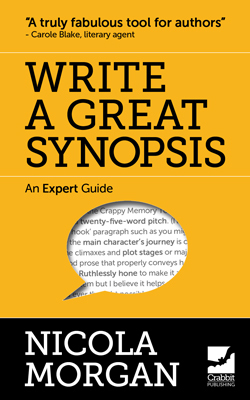 I can't wait to download Write a Great Synopsis book. I need it this very minute! Thank you, too, for your friendship and support in 2011. It means a great deal to me. I also won a copy of Write to Be Published and have recommended it to lots of people. Not just because I won a copy but because its a great book! Thanks for all the wisdom in your blog over the past year.